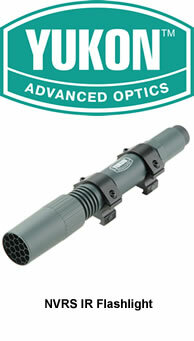 Optional high power 100mW IR Illuminator with mount for use with any NVRS Tactical night vision weapon scope. Fits onto the accessory Weaver rails on the top/left of the bodyshell. Available in green only.